We at Boncuklu are fortunate enough to host two visiting specialists: Prof. Ofer Bar-Yosef of Harvard University and Prof. Xiaohong Wu of Peking University. Prof. Wu is a leading expert in C14 dating and she collaborates with us on our programme for dating the site. 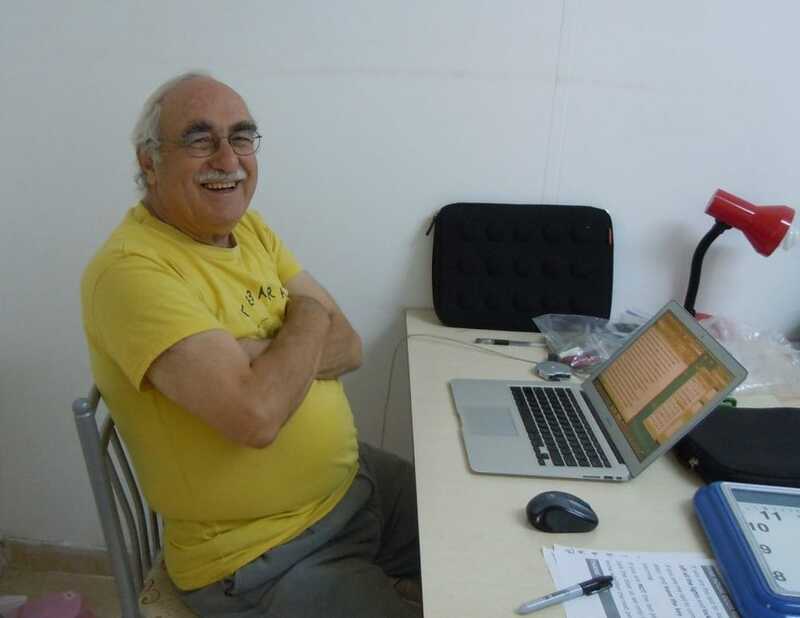 Prof. Bar-Yosef is a renowned researcher in the Hunter-Gatherer to Farmer transition throughout Southwest Asia and now China. He is here at Boncuklu both to examine the lithic technologies alongside our own lithic specialists, Director Prof. Douglas Baird and Co-director Dr Gökhan Mustafaoglu, and also to advise on the archaeological excavation up on the Höyük. 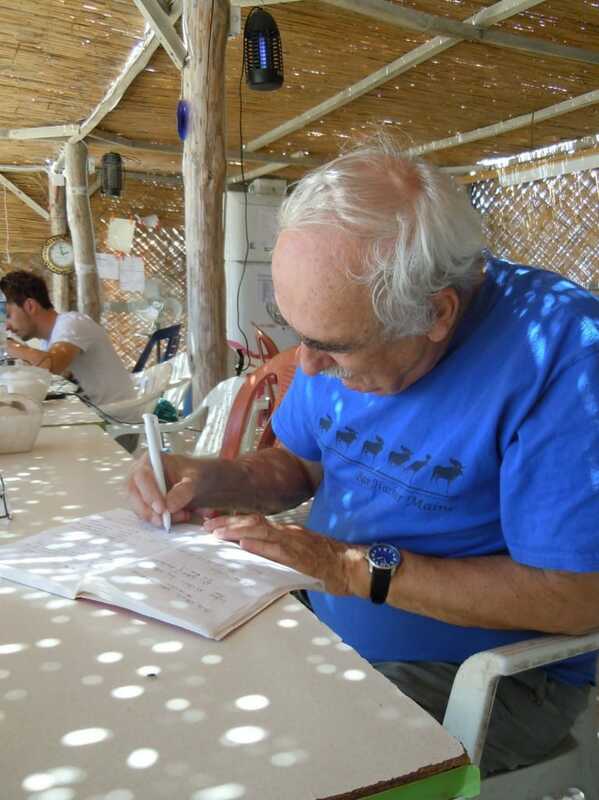 This was the start of a long and momentous professional career, working in many parts of the work including the Sinai and Israel (for example Kebara with Prof. B. Vandermeersch, Hayonim with Dr.L. Meignen and Prof. Belfer-Cohen, and Netiv Hagdud with Prof. A. Gopher) as well as Georgia (alongside colleague Dr. Tergiz Meshveliani) and now in China. There, he assists colleagues, first Prof. Prof. J. Yuan, excavating a forager cave site that dates from after the Late Glacial Maximum, 18,000BP, through 14,000BP, analysing and publishing this new material and now with Prof. W. Guo, two early Neolithic villages south of the Yangzi River. Alongside he assists the study of several foragers’ sites near the Yellow River. In addition he was recently involved in with Prof. X. Wu, P. Goldberg and D. Cohen in dating the earliest pottery in south Chone to ca. 20,000/19,000 years ago published in Science June 2012. Prof. Wu is the most prominent in radoicarbon dating specialist in China, and not only has she dated many of the sites excavated in China, she has visited each and every one that she has worked on. She is resolute on the importance of these site visits: “You need to understand the context. You must understand the formation of a site otherwise all the dates will go the wrong way”. This understanding of archaeology is paramount when analysing and interpreting the radiocarbon dates she reveals in the lab. The next question was obvious: why is Boncuklu of particular interest to you? Prof. Wu, having worked almost exclusively in China, is interested in observing the parallels of the Chinese transition to agriculture and similar developments in other parts of the world. 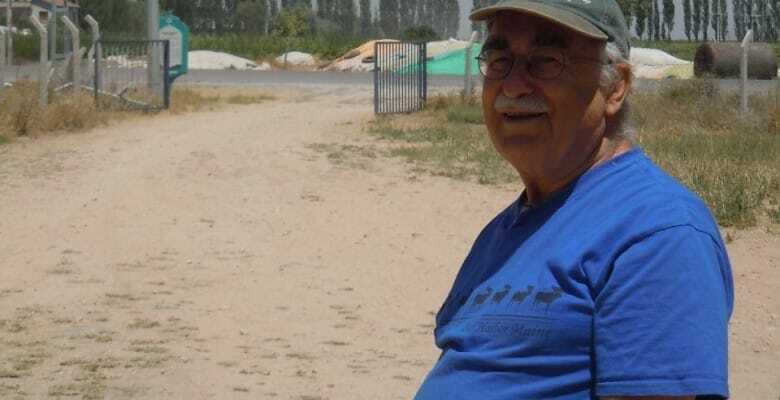 Prof. Bar-Yosef has always been concerned with the spread of farming. While he is currently focused on the Chinese transition, he remains curious about these developments in world wide, and is intrigued by the new evidence emerging from Central Anatolia. Particularly what happens to hunger-gatherers who co-exist with these emerging and growing farming population. Were these hunger-gatherers acculturated, or rather were they simply pushed out? There is little doubt that both these scenarios existed, and unravelling these scenarios is an enticing project. These same process, and questions, happens in the Chinese context – only, for the moment, there is far less information to work with. Prof. Bar-Yosef jokes, that to answer these questions in China similar to what is known about Southwest Asia, he should come back in 50 years. Then the body of data from this vast region will be large and varied enough to tackle these complex conundrums. It is hard to really conceive of the territory these archaeologists are dealing with. Southern and northern China are diverse, with the domestication of millet in the north and rice in the south. But to truly understand the scale, consider this. Aptly described by Prof Bar-Yosef, the area from the Arabian peninsula, Egypt all the way to Turkey the Caucsus states to the edges of Russia is only two thirds of the area of China. More than this, it has an environmental diversity ranging from Siberian-like icy territories down to tropical regions in the south. With such a huge range of cultural and environmental diversity, it is difficult to come to grips with the archaeology until there are more sites identified, excavated, published and interpreted. This is why the region is so tantalising – so many questions are on the cusp of being answered. As the afternoon wears on, I am fortunate to sit and listen to these two exceptional archaeologists reminisce about their incredible careers, the sites they have worked on, the research they are conducting, and their plans for the future work. I asked – if there was one piece of advice they would give to budding archaeologists, what would it be? “Interest. Your interest is the most important aspect”, answers Prof. Wu. Prof Bar-Yosef echoes her, “Follow your heart. If this is what interests you, do what it takes and you will succeed. Success is determined by the the decisions you make along the way”. Great interview. Keep them coming…great addition to the (web)site!